Cameo360: a 4K camera that is a rebadged Nico360? This is the Cameo360, a 360 camera, claimed to be the world’s smallest dual lens 4K 360 camera. 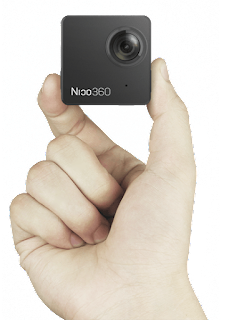 The specs look nice enough but the astonishing thing is how similar it is to a previous crowdfunded camera called the Nico360. What’s going on?!? 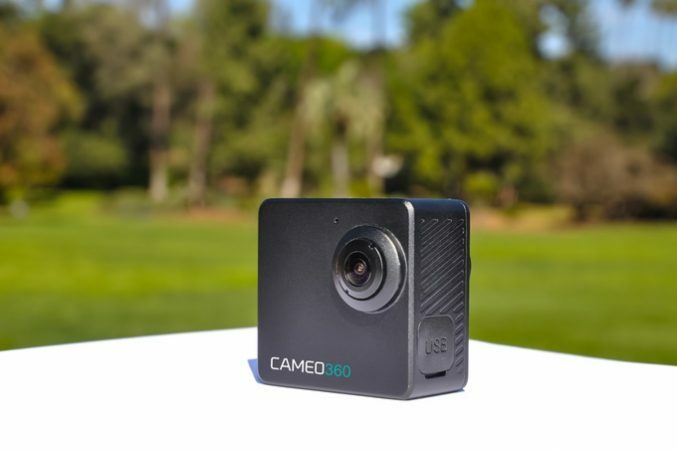 The Cameo360 is on Kickstarter here for an early bird pricing of $175 compared to a planned MSRP of $269 (ending on April 20). Delivery is promised for August 2017. The strange thing is that the Cameo360 looks a lot like the Nico360. – 1440p video (later upgraded to 4K video when they hit a stretch goal). Nico360 has been delayed. Originally promised for October, it seems like it will still take a while longer to be produced. Meanwhile, one difference between the two cameras is the price. 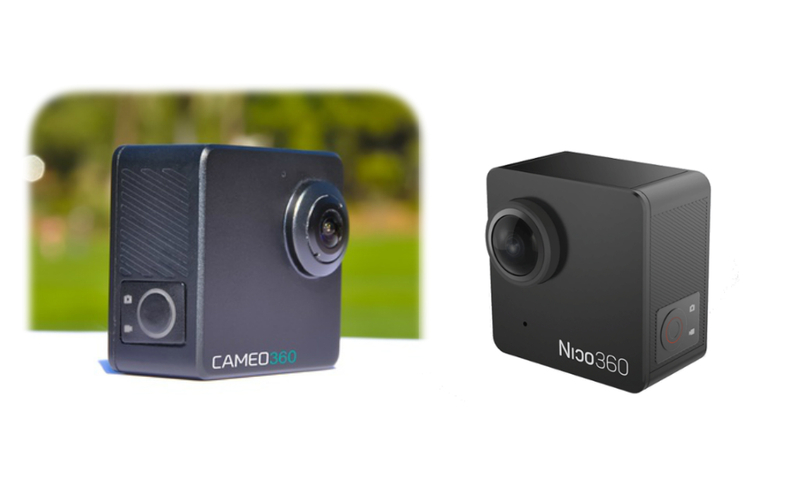 The Nico360 was originally offered at $99 whereas the Cameo360 is offered at $175 early bird pricing. 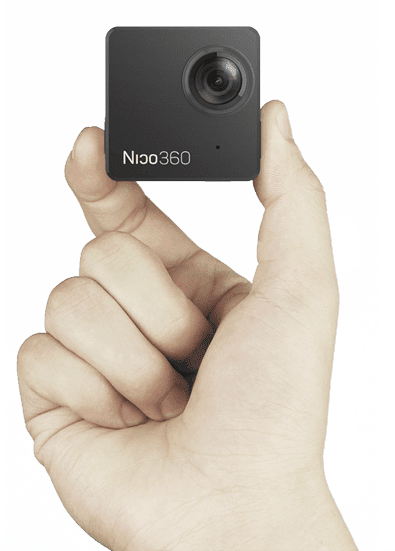 That price difference MAY mean that Nico360 figured out that the price it offered is too low so it needs to sell more units at a higher price to fund the cameras promised to the Nico360 crowdfunding campaign. This is similar to what’s going on with Panono, where they are selling units now at around $2,000, even though they haven’t delivered all the cameras promised to their crowdfunding backers at under $600 (as long ago as 2013). Their plan is to use the funds from the new buyers (at a higher price) to fund production for the crowdfunded units (as well as the retail-ordered units). 2. 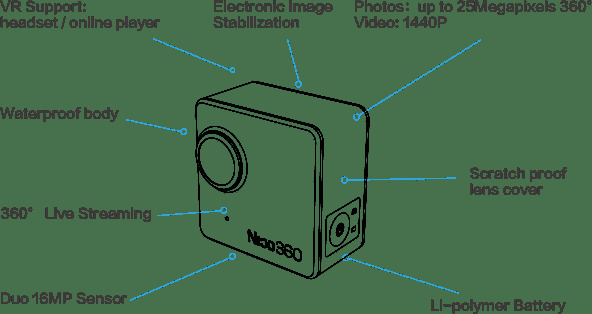 Licensing deal: Another possibility is that Nico360 is licensing their camera to Cameo360 in order to generate additional funds. 3. Subterfuge: Yet another possibility is that the Nico360 factory is selling the design to Cameo360 without Nico360’s authorization. 4. Rebranded: Another possibility is that Nico360’s design wasn’t novel and there was already an existing camera that they simply branded as their own, and Cameo360 is also doing the same. Anyhow, like I said I’m just speculating. How about you? What do you think is going on? Post your thoughts in the comments! The answer is no 3 – subterfuge! Perhaps show this to Nico and see what they say. I did some work for an importer from China who said they could go to a factory in China and make an order. That order might not even get made at the factory and it might not even have the specs or look like what they ordered. But they have to pay it all in advance. The interpreter, is actually a middle man, not just interpreting. We would like to address your comments and speculation. First, CAMEO360 is a completely separate company from Nico. Second, you made good educated speculations, and many of those strategies help on cutting cost and time with R&D and development. Allow our team to address your speculation and hopefully there will be no mix messages. The features for CAMEO360 and final design will be different from Nico. There will be many different features that will ONLY be offered with the pairing of the CAMEO360 and the Flicksee App. The Flicksee App is a new social media platform that will have the unique features for the CAMEO360 that raises the benchmark of content creation, sharing, and convenience. It is very unfortunate many creators focus heavily on development and many fail to balance development, customer relation, and prompt delivery time which result in loss of confidence from many early backers and future backers. We would like to change that perspective and we are happy to share that we are ahead of schedule of both the development of the Flicksee App and the features only available for the CAMEO360. We worked together with Primesom the makers of Nico from the inception of the design stage. The Primesom team carry the same ideas to develop something unique, simple, and convenient that is similar to what we wanted to achieve. Feel free to contact us anytime if there are any questions or comments. Hi Valerie. Thank you very much for responding to my post and explaining to our readers. I see that you’re in L.A. as well. Can I visit your office to look at the camera? Yes that will not be an issue in the next couple of months when we move to a bigger office where our team will finally be in one roof 🙂 I am glad to clarify to your readers we want to make sure we are transparent, and we want to make sure we are sending the right message to everyone. We do understand we can not make everyone happy, but we will do our best. Our home is in LA and we intend to make an impact in LA. Our final design will be done ahead of time in the next 6 to 7 weeks and we will be ready to do final testing in public with our sponsors. We will be reserving a few spots only for exclusive publication to see the Flicksee App and the CAMEO360 in action. We are in Kickstarter as we speak for the next 8 days to get to our goal. Your support will be highly appreciated. Your Welcome to send us an email: support@cameocamera.com for details and to keep you in the loop. You are also welcome to reach out to our PR team: Scott email: scott@prmedianow.com or http://www.prweb.com/releases/2017/03/prweb14146918.htm. We have also been published published in over 50 publications around the world in 6 different languages. Some of the known publications are International Business Times, Digital Trends, Yahoo Tech, and SlashGear. Hi Valerie. Thanks I will send you an email! How about an update to this, did you visit them and see the CAMEO360. Has Valerie Customer Relations, Flick Labs Team contacted you to visit. Strange the Nico360 ( Primesom) team have not responded to this. Then again they have not update backers in the last two months on Indiegogo. I think it’s time for future investor’s to buy a 360 camera of the shelf.